I'm analyzing Android games with Fiddler 2 to see how the game collects data. 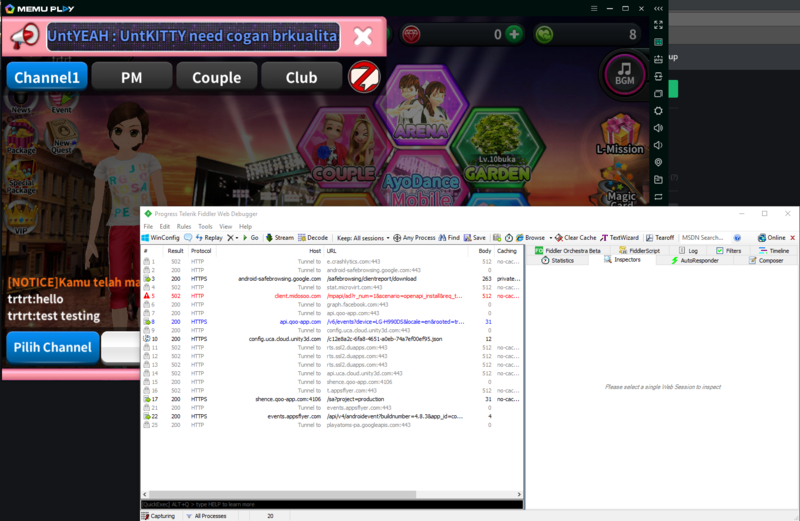 There is a problem, both Fiddler 2 and Charles Proxy doesn't capture any traffic from some online games. All i got are ads traffics. I have heard it uses socket system, i don't know excatly what he meant. This online game requests a lot of data. I checked logcat and i see that the game retrieved some json data but there is not enough infomation. I believe Burp by PortSwinger will do the work. Fiddler and Charles Proxy are web debugging proxies so they only capture http/s traffic. If the game doesn't use the http protocol the trafic wont appear in these tools. Not the answer you're looking for? Browse other questions tagged debugging android proxy or ask your own question.